HBO has released the first trailer for 'The Newsroom,' which comes from the mind of Aaron Sorkin, creator of "The West Wing" and screenwriter of The Social Network and Moneyball. 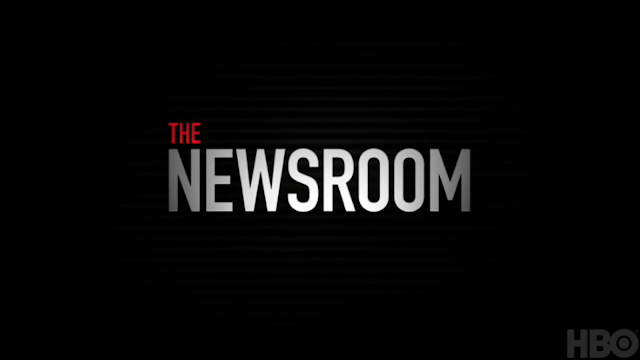 'The Newsroom' is a behind-the-scenes look at the people who make a nightly cable-news program. Focusing on a network anchor (played by Jeff Daniels), his new executive producer (Emily Mortimer), the newsroom staff (John Gallagher, Jr., Alison Pill, Thomas Sadoski, Olivia Munn, Dev Patel) and their boss (Sam Waterston), the series tracks their quixotic mission to do the news well in the face of corporate and commercial obstacles-not to mention their own personal entanglements. The show premieres on Sunday, June 24 on HBO, and hopefully not long after that over here on Sky Atlantic for Ireland and the UK.